Happy Hump Day! While I’m heading back home from a great trip to Disney World, Kelly at A View Along The Way is robbing my house guest posting for me today! Come see how Kelly has decorated her GORGEOUS house on a budget with a little bit of creativity and a whole lot of effort! PS- Kelly, you better be careful. I do have an alarm system. And two giant guard dogs that will slobber you to death. OH, and nosy in-laws who are dog-sitting them and possibly packing some heat. Have we met? 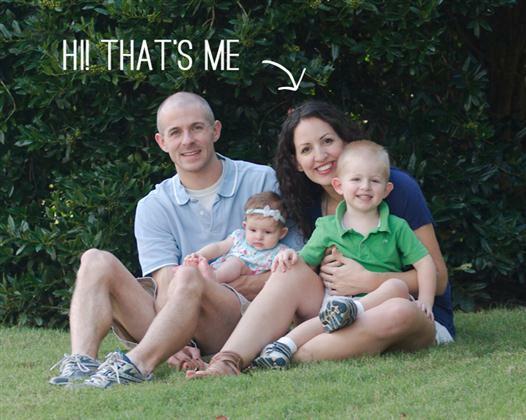 I’m Kelly and I blog at View Along the Way about budget-friendly DIY projects in our attempts to fix up our once-tragic foreclosure on the tiniest of budgets. We’ve lived in our place about four years now. (Take a quick tour of the befores-and-afters right here!) You know that feeling of moving into a new home with wide expanses of blank walls and an unlimited decorating budget to fill them with the art of your dreams? The Rage Against the Blank Walls! 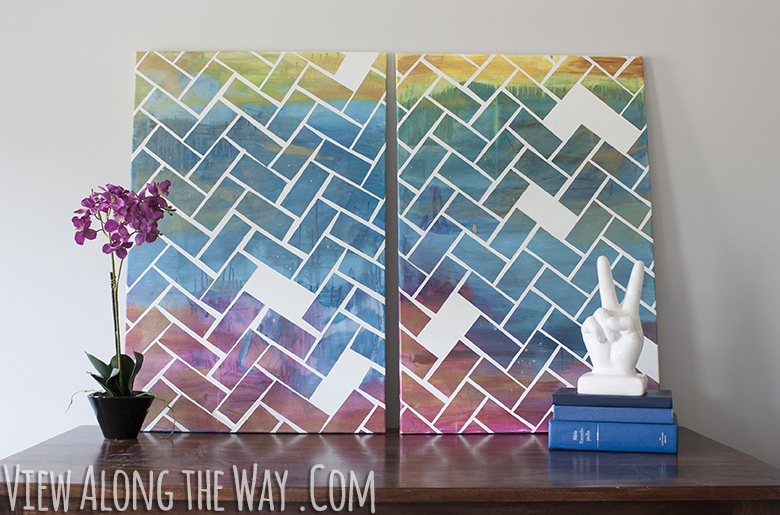 Here are a few fun and easy, budget-friendly ways to fill your walls with art that speaks to you! Unless it was a giant gilded mirror which swore you are the fairest of them all, day in and day out. I still haven’t figured out how to write up a good DIY tutorial for that. It was so easy, and you could make your own with a verse, or a quote that speaks to you, or a meaningful date. 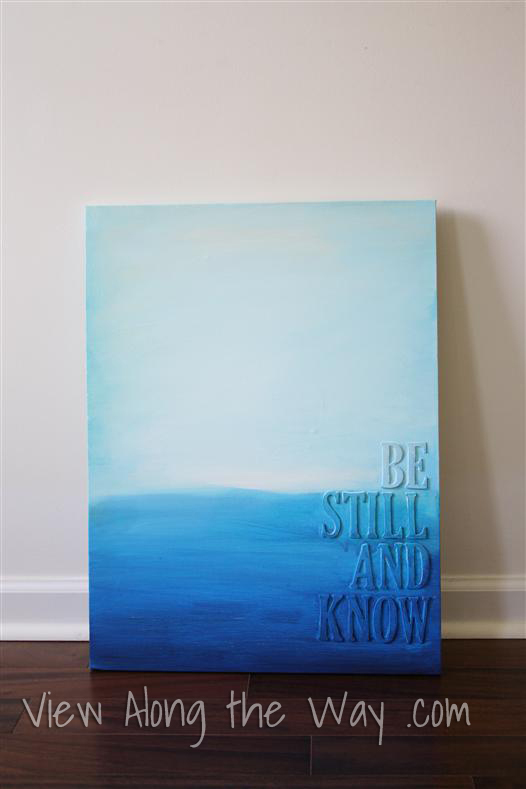 Check out the tutorial to make your own quote art. So you might as well embrace it and let them go crazy. 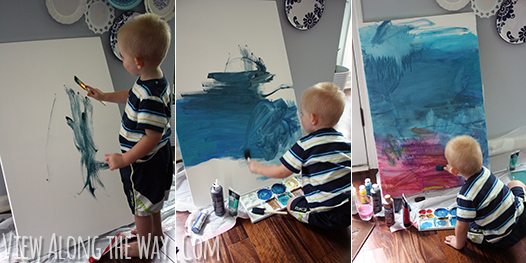 I set my two-year-old up with some giant canvases and let him have at it! 3. Throw some plates on the wall! I get it: some people are a little intimidated by a blank canvas. If that’s not your style, no prob! Maybe you like to shop. (Are ya with me?!) “Needing” a nice collection of color-coordinated plates is a great excuse to hit some yard sales and thrift shops! Almost all the plates on my plate wall were between ten cents and a dollar. I wanted something whimsical and fun to fill a giant empty wall in my baby girl’s nursery. Enter pinwheels! I made a ton of these out of scrapbook paper I already had on hand and hung them in a floating-away arrangement. Wanna know the coolest part? They actually spin! 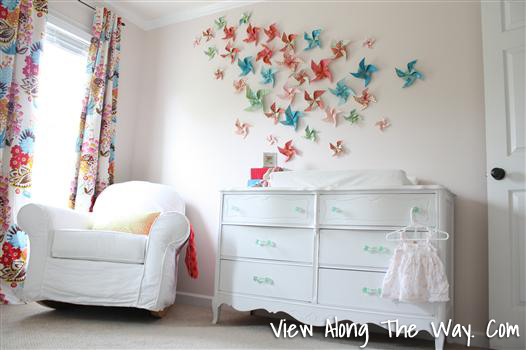 See how to make your own pinwheel wall here, or click on over to see how we redid this whole room – furniture included! – for under $500. 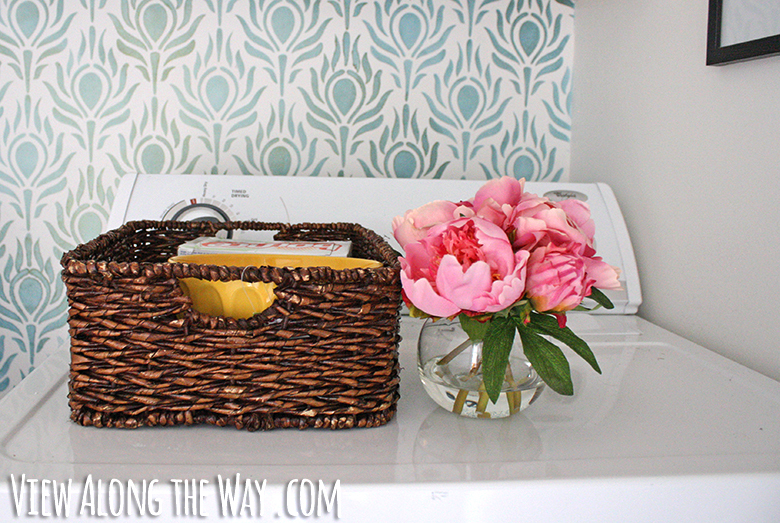 I recently stenciled a wall in my laundry room – we just made over the whole room for $157! See it here! – and THAT is ONE high-impact wall decor solution. 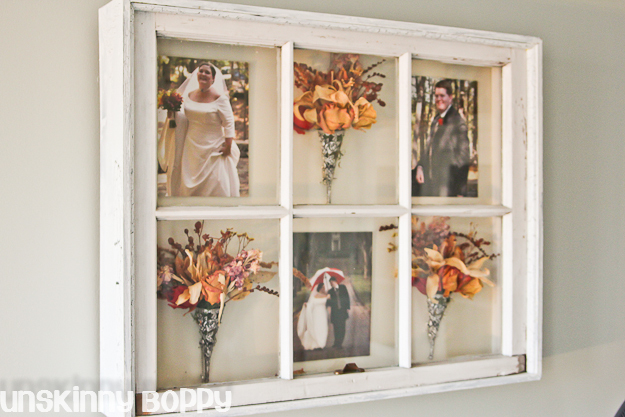 Of course, that’s Beth’s DIY shadowbox, but isn’t it amazing? 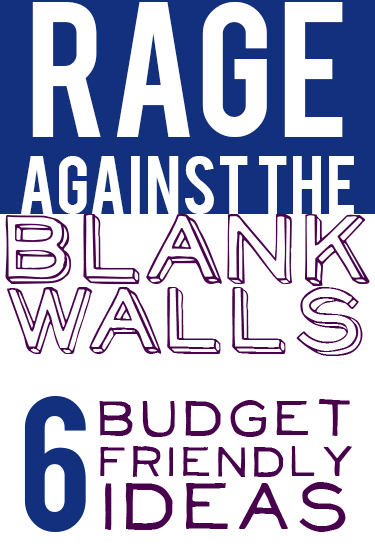 Another budget-friendly way to rage against the blank walls! Thanks for letting me hang out here with you guys today! (And Beth, thanks for the sweet new mason jar chandy. I mean… nevermind.) I hope you’ll swing by my blog, subscribe to the posts or follow along on facebook, twitter or pinterest. I’d love to connect with you! « Woodliness is next to Godliness: How to incorporate rustic wooden elements in your home. Awesome ideas – we have many a blank wall in our house … I just need to get over the fear of it not being perfect and take the plunge! 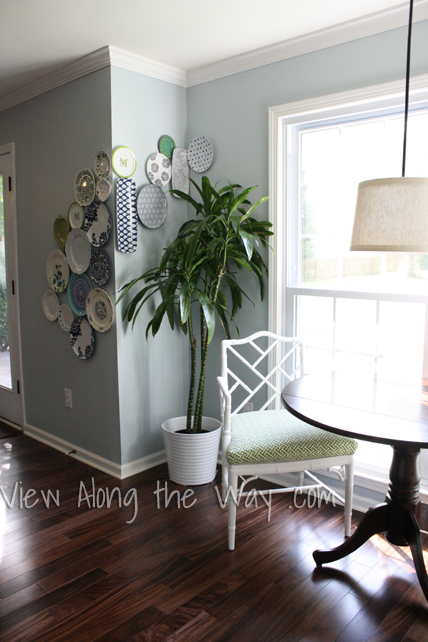 Love the pinwheel wall!!! So cool. You are full of great ideas! 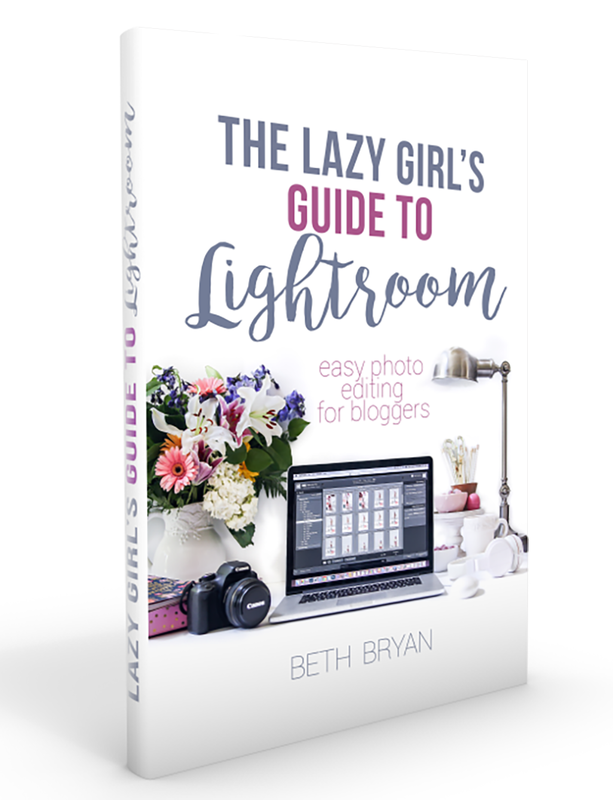 Good Stuff right here- Perfect for any blank area.. thanks for sharing! Yay! Great post Kelly – you sure do great work! Love the ideas and love it when bloggers introduce me to other bloggers…except when it makes me feel OLD because I could be yet another bloggers mother (but still have young kids at home myself! Twenty nine, seriously! Sigh. But I will be reading View Along the Way now. Can’t help it if I’m a late starter. Love them all…especially the plates! Fantastic ideas, loved them all, thanks for sharing! I saw your wall of plates on your blog a few months ago. Thanks for sharing it again, I love it! 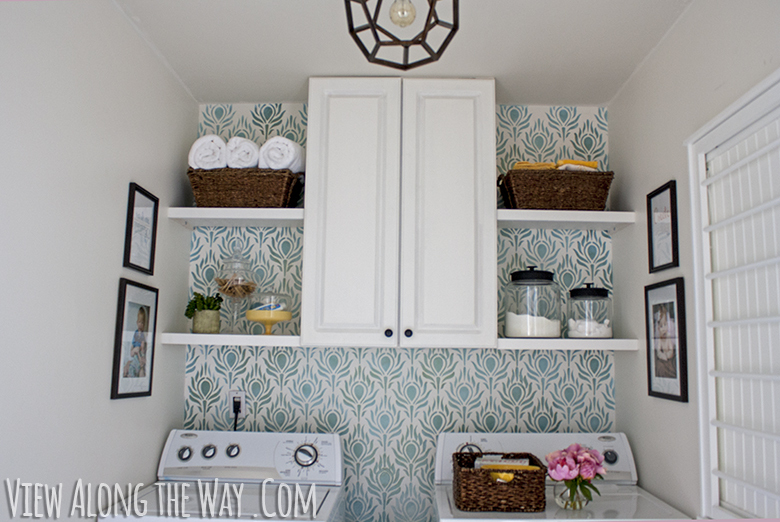 The stenciled wall in the laundry room is fab too!